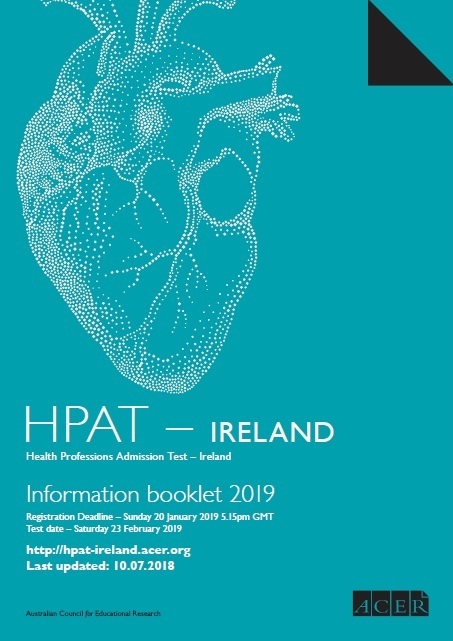 HPAT – Ireland is developed to rigorous professional and technical standards. Test questions are designed and developed by a team of ACER writers, expert in their fields. All test questions must pass detailed panelling, trial testing, analysis and final review. The content, style, duration and sequencing of the tests are determined to ensure that the testing programme is relevant, fair, valid and reliable. HPAT – Ireland test data are subjected to statistical analysis to check that each question has performed as required. Test questions in development are carefully scrutinised in an ongoing attempt to minimise gender, ethnic or religious bias, and to ensure that the test is culturally fair. The test may contain a small number of trial questions which may not contribute to candidate scores.